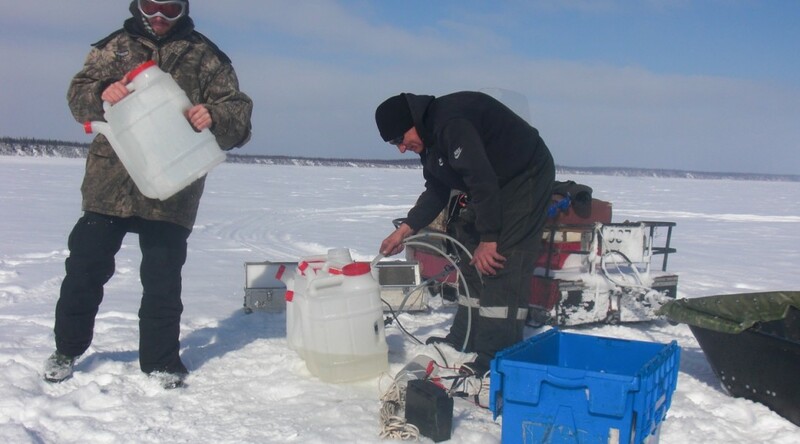 Good ice condition let us sampling everyday during the last week. Snowy then sunny but cold weather keep nice snowmobile track on the Yenisei. 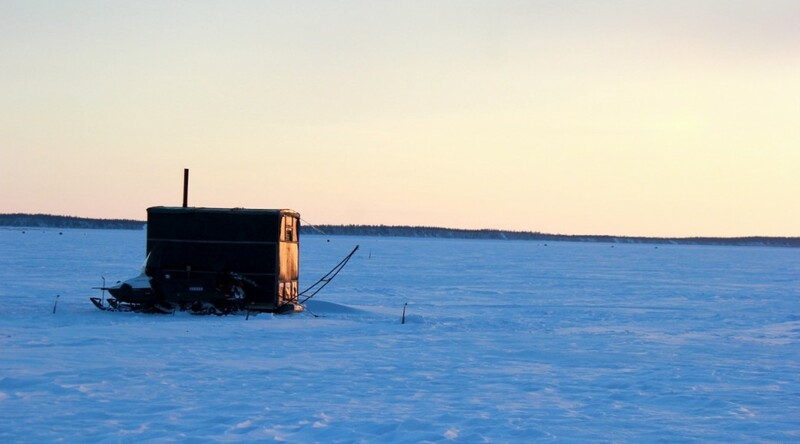 As every year, fishermen are out on the ice to catch fish migration before spring flood. A good indication that spring is coming! Nikita, Elena and Roman arrived today for the spring flood period. 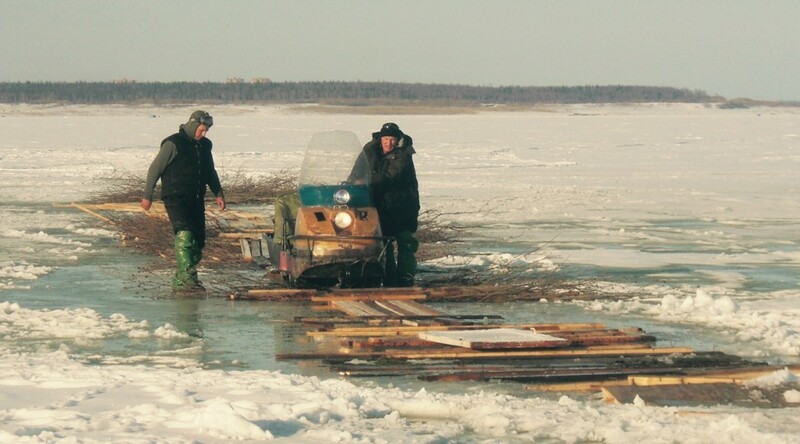 For the first time, the historical team will sample together the Yenisei. First attempt to get data from the Gravijka river sonde implemented since July. 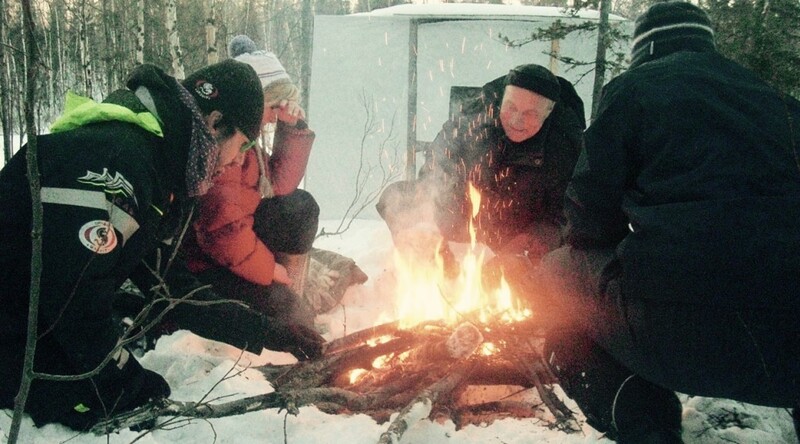 We shared happy “into the wild” moments. After two days sampling in cloudy/snowy conditions, the sun was back for an ideal sampling time on the shinny ice of the Yenisey. Current temperatures are quite cold about -3 to -6 °C during day and from -10 to -18 °C at night. Thus ice is still thick (near 1m) and there are almost no sign of melting. Fishermen in their cabines still have some great days of fishing to comme. According to weather forecast, positive temperature should occur on friday, let see what happen next! 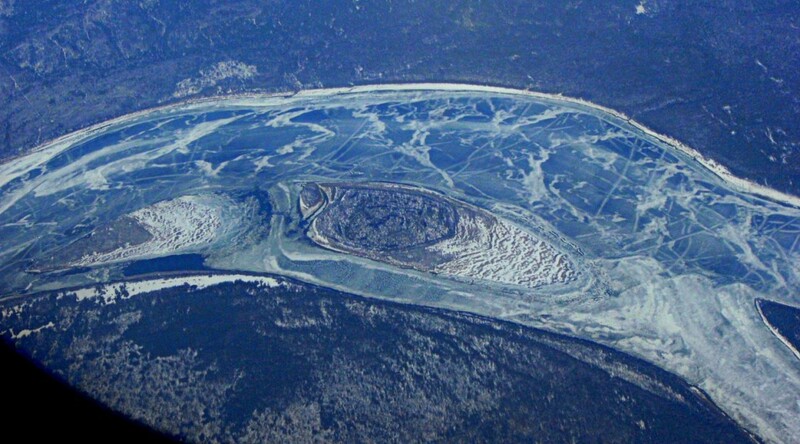 Beautiful view from the plain over the frozen Yenisei and the city of Igarka. The weather was very sunny and warm for the arrival, and everything was starting melting. But now a cold wave has come, bringing some snow and refreezing. Lab material and goods have been checked, we are ready to go! First sample of the spring mission has been taken through the ice of the river on Friday 29/04 on a sunnybut cold day (between -10 and -5 °C).